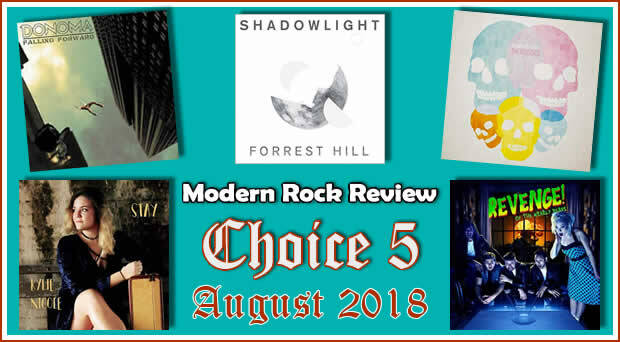 Modern Rock Review’s Choice 5 for August features a diverse set of new albums and EPs by Joshua Ketchmark, Forrest Hill, Donoma, The Nearly Deads and Kylie Nicole. 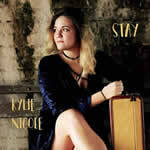 Kylie Nicole is a versatile musician and prolific songwriter who released a fine a five song EP in 2017 entitled Stay. Some showcases from the EP include the tracks “Third Degree Burns” and “Driftin”. 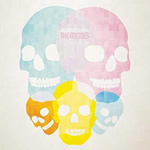 The Nearly Deads deliver a well produced mixture of pop and hard rock on their EP Revenge of the Nearly Deads. Here, crisp distorted guitar contrasts with melodic, bouncy vocals on tracks like the energetic “My Evil Ways” and the rhythmic rocker “Revenge”. 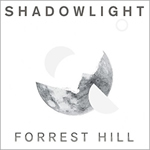 Forrest Hill brings decades of diverse music experience with the recording of his latest album, Shadowlight. This collection of very finely crafted, rootsy songs is highlighted by the tracks “Like a Fire” and “Circle of Life”. The Misses is the latest album by Joshua Ketchmark. 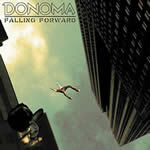 Filled with songs of emotional intensity and crisp powerpop. Highlights from the album include the opener “Cold Feet” and the shuffle driven “Her Voice In My Head”. See you on Wednesday, September 5th for the next installment of Choice 5! Modern Rock Review’s look at 5 new album releases, published on August 5, 2017.